A trick-machine for creative riders. 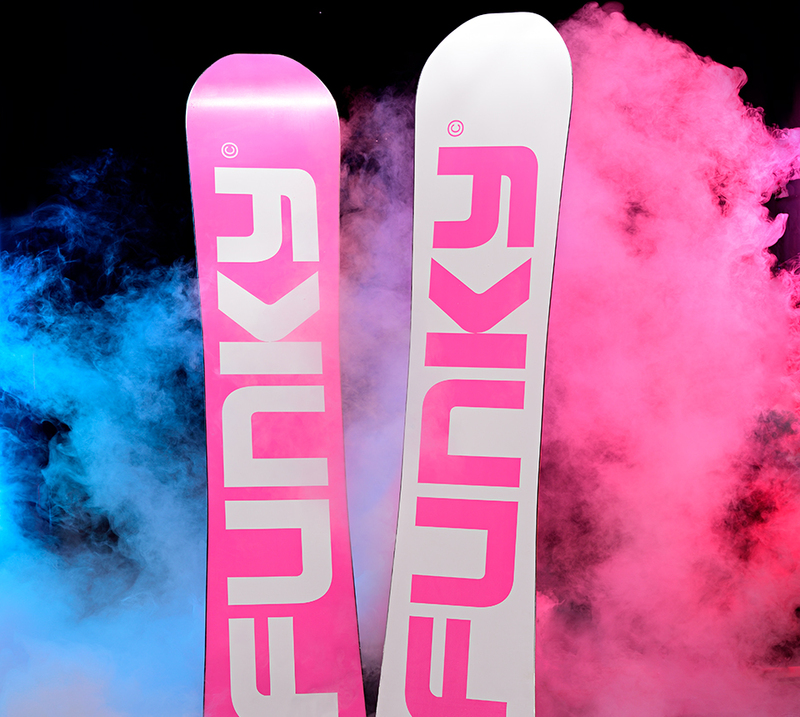 Funky Spray available in measures 150, 152, 155. 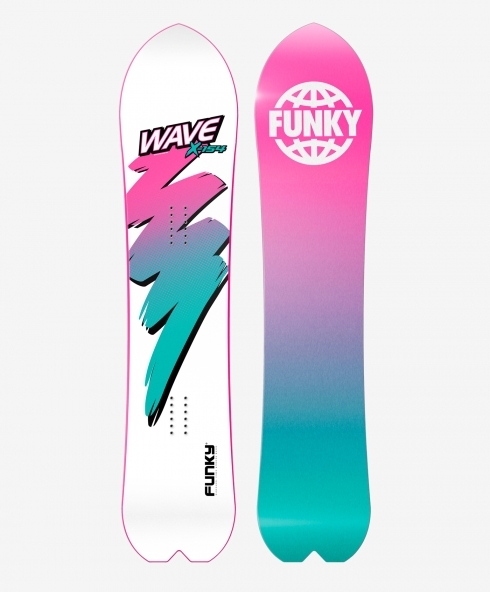 A trick-machine for creative riders, the new Funky Spray has an explosive pop and a great grip. 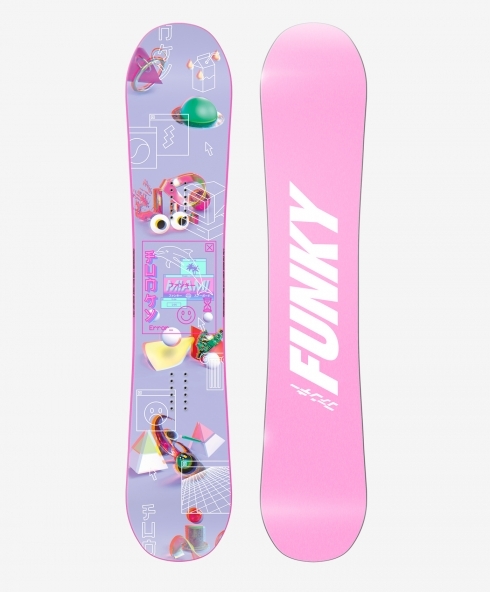 In this model we put together the features of a skateboard, nimble and fun for rail and flat trick, with those of a freestyle-all mountain snowboard, in order to jib everywhere while racing down the slopes, and jumping like kangaroos in the the park, without compromising the perfect board control in conduction and in the ollies. Smart wood core and sintered base make this model fast and light. 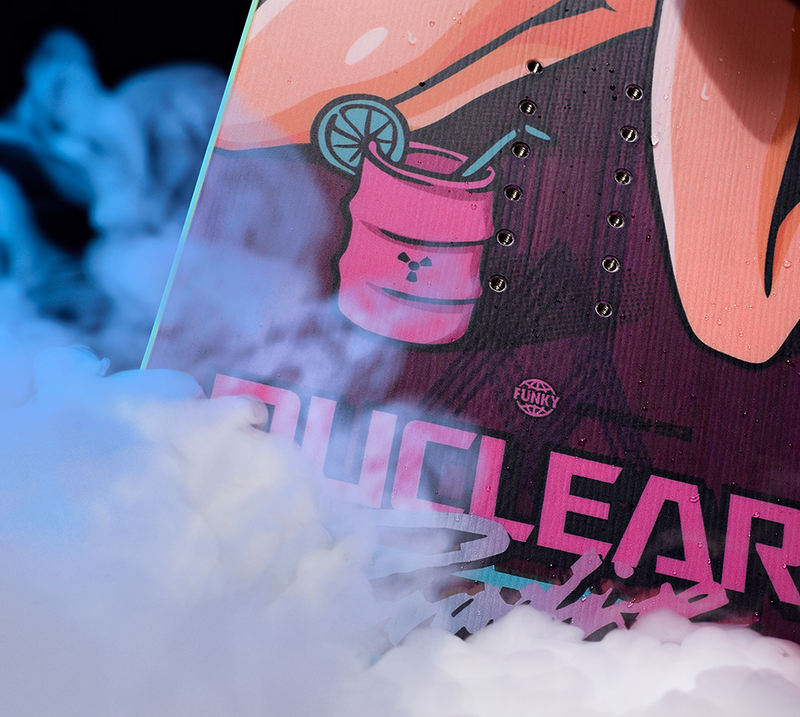 The Funky patented Carbon Sling technology gives the board an explosive pop and a perfect flex for stylish presses and tricks. The RFR flat camber and the squared shape together with shortened tips make the Spray the perfect board to be ridden by Pro athletes in the most famous street spots around the world, from Helsinki to Montreal. é un profilo sviluppato per conferire immediata confidenza con la tavola, garantendo pop e stabilità. Un semiflat con un ottimo contatto neve, in grado di offrire uno skate-pop impressionante. Perfectly symmetrical shape for balanced riding, equally versatile both when used regular and when used in switch. Great balance between feline stability and freestyle mobility, no matter which way you point it. 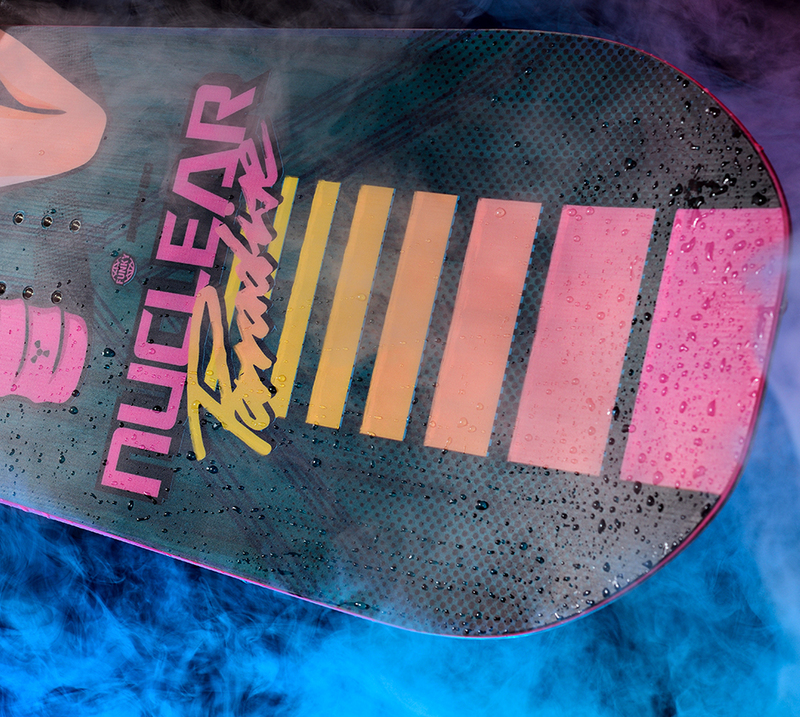 Every (radioactive) cloud has a silver lining, ‘aight? Wooden core made of a combination of bamboo, paulownia and beech for an explosive pop. Thanks to bamboo fibers the reactivity is increased while maintaining lightness and strength. Radially assembled wood improves twist and pop. The Sintered speed base 7500 has been developed with a greater concentration of micro pores so that it can increase the absorption of the wax, improve the strength and ensure high speeds on all types of snow. A special micro-perforated rubber that runs through the perimeter of the board absorbing vibrations and bumps. Aeronautic carbon stripes embedded in strategic areas to improve the board’s performance. Steel edges with a larger section to improve impact resistance on snowpark structures. 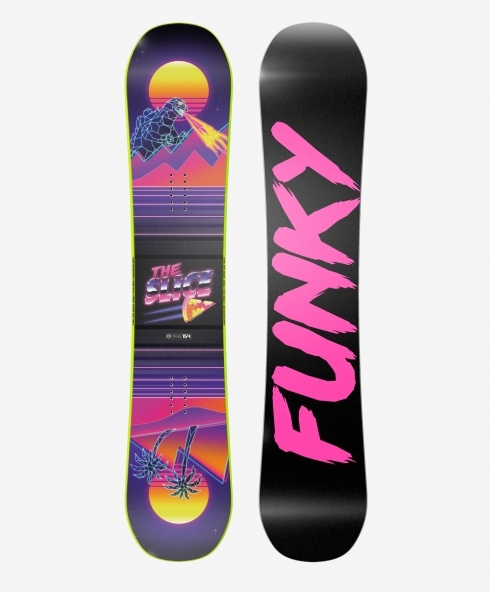 Funky Family’s experts will help you find the right board for you! 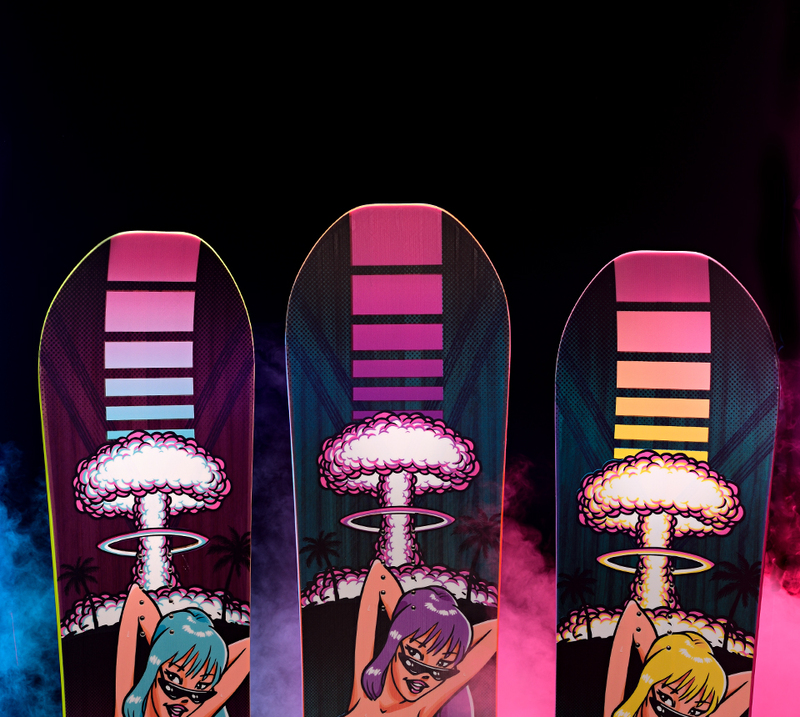 Our family experts (real snowboarders, not cold robots without soul) will suggest you the right board!